Last winter, the 2011 TreeSteward class had a work day on the Bluemont Connector Trail in Arlington. 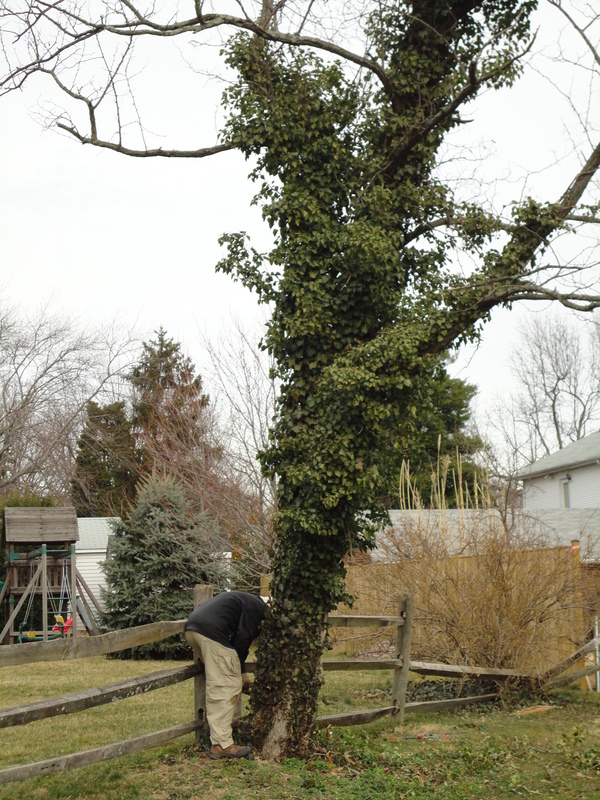 A large black locust tree was found to be smothered in English Ivy. TreeStewards worked to free the poor tree by using the “life saver method”. That is, all of the vines were cut at the bottom of the tree, and pulled away from the base. 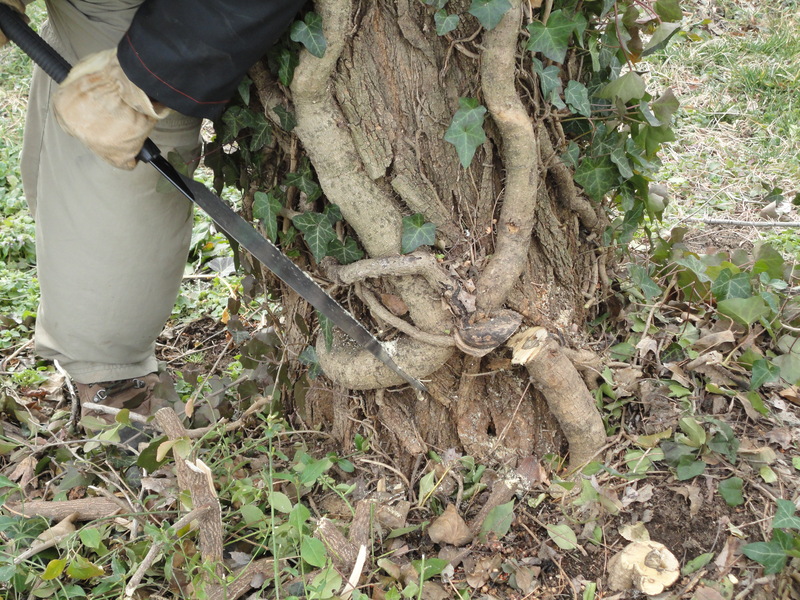 Vines and leaves were left on the tree to slowly decompose; pulling them off the trunk can injure the tree. See how large these ivy vines were? The poor tree was suffocating! Here is the Black Locust 10 months later. Note how the vines have withered. You can still see the bare vine branches on the upper limbs. What a difference for the tree. 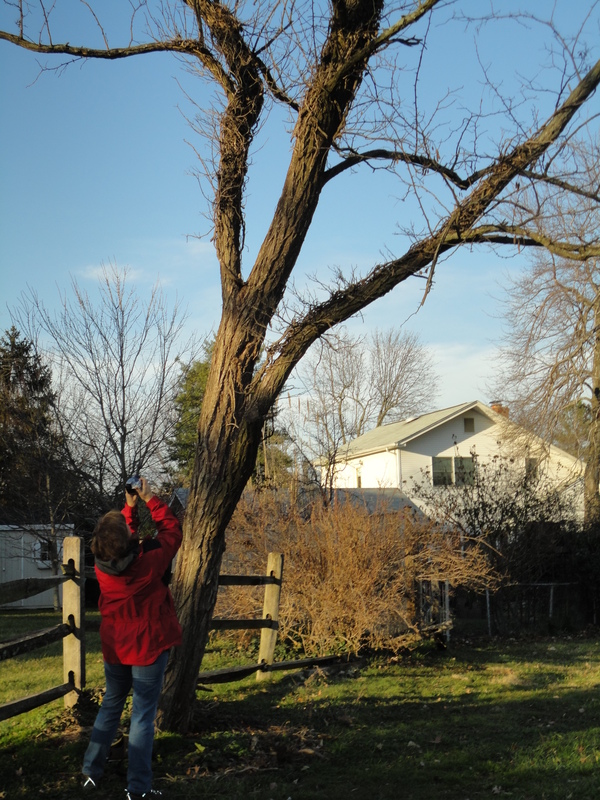 January 17, 2012 No Ivy on this Black Locust Tree! This entry was posted in Education, Tree Care and tagged invasive, ivy campaidn, life saver. Bookmark the permalink.